Are you succeeding with your online business? 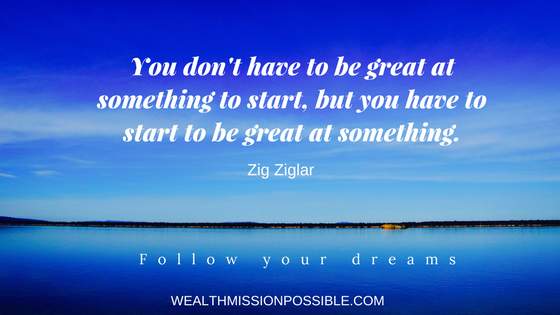 Whether you are in network marketing or another business, are you achieving all your goals? 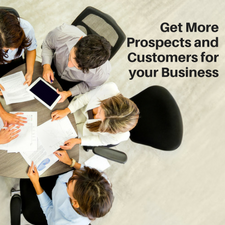 Getting more prospects and customers for your business is crucial to success. 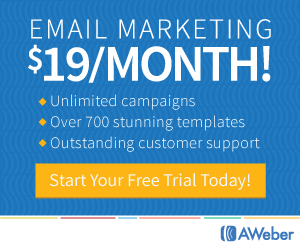 Without daily leads, your business cannot exist. 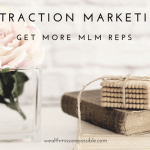 Even if you get more leads, are you turning your prospects into sales or growing your MLM team? Today I am sharing five skills to help you get more prospects and customers for your business. To grow your MLM business, you need people who are interested in what you have to say and offer. To do that, you need a lot of people to talk to and share with on a daily basis. I remember when I first started in network marketing, my sponsor told me to talk to 2 people a day. I remember going to the market to find two people! Doing that is a good idea but will take forever to build a business. When you focus on building an online audience, you will end up with a constant flow of people to talk to. 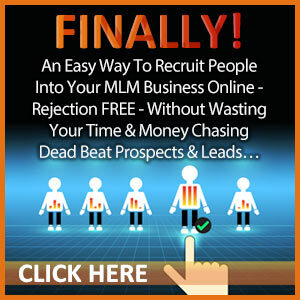 Whether you are trying to get leads for MLM or need prospects for another type of business, it doesn’t matter. These tips work regardless. Once you have an audience, you want to focus your daily method of operation to continually growing that audience. That means you need to track audience growth. For example, if you are have a Facebook audience, you have a myriad of tools available to track growth, engagement and more. Everyone is on social media so it makes sense to build your audience there to get more leads and prospects for your business. These all work well for building an online audience for your MLM business and getting fresh leads daily! In addition, you have other social media platforms you can focus on. I don’t recommend doing all this at one time. Start with Facebook and then add at least one other network as you master your skills. Here’s some ideas of social media networks that work GREAT for getting more leads and prospects. To grow you online audience, you need to get people to engage with you in social media. Engagement is a must. If you have thousands of followers on your Facebook business page with no engagement, it’s the same as if you had no followers. Creating content that provides value to your audience will help you get more leads and prospects for your business. That’s where Attraction Marketing comes in. 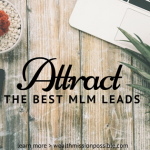 By attracting people to your business, you get people coming to you instead of chasing them. How would that make a big difference in your MLM business? Creating value driven content for your audience will help people to know, like and trust you. If your content is boring and doesn’t compel people in some way, that won’t work. Develop your content creation skills and start attracting your audience now! As you build a good foundation for your business, you’ll need to communicate with your audience to further build relationships. That’s what I love about online marketing. Instead of only focusing on one-to-one communication, you can engage in one-to-many communicating. Using webinars, videos, and other similar media gives you a chance to share your message with many people instead of just one. One important MLM lesson I learned is that people join people because of relationships. That’s the real reason why people will join you in your MLM business or buy from you. The more helpful content you create the more leads and prospects will be attracted to you. When you communicate with your audience effectively, they will clearly understand the benefits they get from working with you or buying your product. Everything you share in social media paints a picture of you and why you are the person they should connect with. You don’t need to be an expert but you should work on improving your skill in at least one of these methods. For example, when I first started in my MLM business, I was doing a lot of phone calls. I had no idea what to say! I studied up on how to talk to prospects and over time I got better and better at it! After I felt more confident in that talking skill, I moved on to learning other skills like video marketing and blogging. 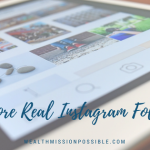 The most important lesson I learned is that even you have thousands of people who like your Facebook page or visit your blog, your ability to convert those leads into customers is what matters. That’s where the money is. You want to make some, right? Sometimes you just have to ask for the sale. That’s the hardest thing for people to do, especially in one-on-one conversations. Fear keeps many people from achieve their dreams. Don’t let that be you! You can build up your confidence with personal development. But always keep an eye on your goal to help keep you moving forward. This skill is pretty simple and straight forward. If you want to succeed in your MLM business or any online business, be persistent and consistent. That’s it really. Giving up is easy, isn’t it? Moving forward and succeeding isn’t so easy but it’s worth it! Today I shared 5 important skills to help you get more leads and prospects for your online business. The most important of these is the last one, being persistent. If you are not the type of person who gets up after being knocked down, then maybe this is not the right business for you. But if you are willing to try and learn new skills, keep moving forward and never give up, you can succeed! 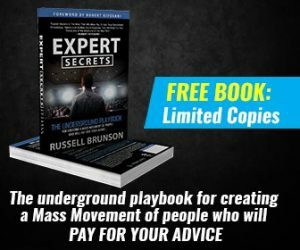 Learn a 3-Step System to Turn Your Audience into Prospects, Customers, Sales & Sign-ups! What I like Facebook is that you can have paid posts and can select your specified which is great for businesses instead of having a post seen by anyone randomly. I think its also important that you know who your target market is so that your social media posts would be more inclined to them. For customer communication, I suggest doing surveys. Great post! Thanks for this!